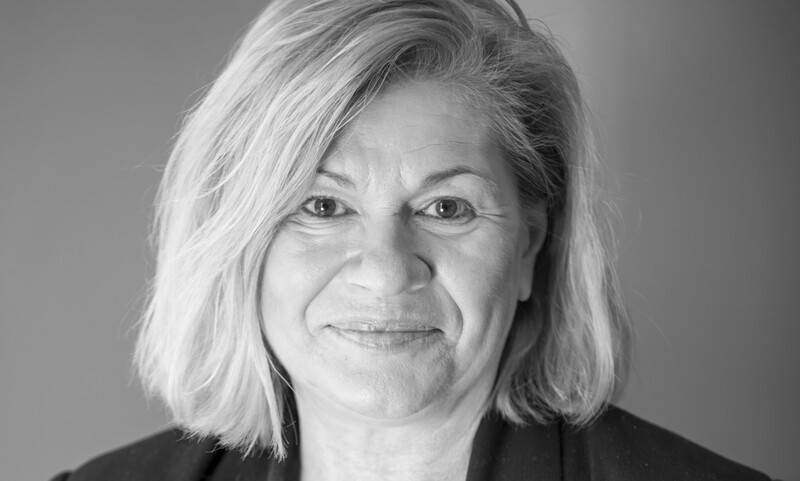 As a Sales Agent with years of experience working between 'The Two Rivers', Sue Wilkes brings to the One Agency team an enviable reputation of being a friendly and candid professional driven to achieve excellent results. Her commitment is unwavering throughout her service because she loves helping people move forward in life. Her combined experience as an agent/auctioneer, along with her superior local knowledge enable her to foresee the value of what a property can become, optimising the outcome for vendors and buyers. Calling Menai home for over 20 years, Sue loves raising her children in a beautiful natural environment and that they attend great schools. Sue is proud to be part of the prestigious One Agency family supported by a team with a wealth of knowledge and superior marketing systems. "Top Class Agent" - Vendor Review. Sue impressed us with her personal service, attention to detail, ready smile and cheerful personality. She was very pro-active, anything we asked her about had already been put into motion. She kept in touch with us all the time, updating us on buyers' comments and offering suggestions on the marketing of our house. It was a very positive experience to us. Thank you Sue. "What an Agent!" - Vendor Review. Thank you Sue for taking us through the experience of selling our first home. Giving us the confidence/re-assurance throughout the process was invaluable. In such a challenging market to begin with, our property presented additional challenges including size/unique for its location (Alfords Point) - it really was an amazing result close the sale in only a few weeks. Your communication from start/finish even prior to the campaign (as a buyer) has been exceptional - it made the entire process for us clear and more importantly up-to-date constantly on where things were at. Thank you to you and your team with all the other 100 things you are still helping us with throughout settlement. "One Of A Kind" - Purchaser Review. My wife and I were looking for our first home for a while with not much luck, then we walked into an open home from One Agency in Menai. We were greeted at the door by Sue and it became clear to us both that we found our dream home. Sue went above and beyond and did everything she could to help us make it happen. Thank you Sue for your excellent guidance and professionalism. "Capable Agent" - Vendor Review. Sue is a very down to earth person and deals with all issues competently with the minimum of fuss. She communicates effectively, is approachable, trustworthy and very reliable. We had complete faith in Sue from the outset and she has proven to very professional and helpful throughout the entire process. "Great Agent" - Purchaser Review. Dear Sue, Thank you for assisting my family's dream come to fruition. Your communication, dedication and compassion was refreshing. More than happy to endorse and recommend Sue's professional services. "The Best in the Area" - Purchaser Review. Although being one of the most stressful times for both my wife and I, each time we met up with Suzie and the team at the various homes over the past 6 months or so, they made us feel calm and welcome each and every time. "Highly Recommended" - Vendor Review. Sue was always available to discuss our sale and provided very informative updates along the journey to auction date. Highly recommend her for her genuine and professional manner. "Fantastic Agent" - Vendor Review. Sue was so very helpful in selling my mother's house. She went way beyond our expectations and was very easy to communicate and interact with in not so easy circumstances. I would highly recommend her to anyone and wouldn't hesitate to use her again. "Very Professional Agent" - Vendor Review. Sue was a really good strong agent to have worked for us during the sale of our home. She was aware of the market trends in our area and was always willing to sit down with us and negotiate in this current changing market. Always prompt and professional with our open house inspections and gave us feedback after each inspection. We had very comprehensive weekly written reports on every party that came through, what follow-ups had been made and the results. We found Sue honest and it was very easy to deal with her. Thanks Sue for selling our home and working hard for us! "Efficient & Understanding" - Purchaser Review. Sue was a great help to my mother when she needed to downsize to a smaller house. She provided advice, assistance and understanding. We are very happy with the help Sue gave us when purchasing the property! "Great Agent" - Purchaser Review. Very polite, helpful and able to assist with all of our needs. Going above and beyond for her clients - very knowledgeable. "Satisfied Customer" - Vendor Review. Sue from the beginning was someone who we felt could trust. She was honest with assesment regarding the property value. She was always available to communicate with any given time in a warm and friendly manner. Would have no hesitation in recommending Sue and wish her all the best. "Efficient, Knowledgeable and Professional" - Vendor Review. Working with Sue was easy and straight forward. She provided a knowledge of the local market and the process of the sale. Communication with her was effortless and we were informed of each step in the process. She accommodated our preference for open house timing and other house viewing visits. I found Sue very professional and well organised. "Great Agent" - Vendor Review. We were delighted with the result that Sue got for our home, she was thorough, professional and always made the time to explain and never made us feel hurried. She worked tirelessly to get the best result and did so with grace and credibility. Cannot recommend highly enough. "Terrifc Agent" - Purchaser Review. Sue was incredibly helpful, knowledgeable and supportive and she helped my family find a home perfect for us. Sue was terrific through every phase and we are very appreciative of all her effort. "Outstanding Agent" - Purchaser Review. Sue was an absolute delight to deal with. Pleasant, approachable and extremely helpful! We were so lucky to have purchased our first home within days of our first inspection and we have Sue to thank. We couldn't be happier with our purchase and can not wait to make the property our home. Thank you Sue, you made it too easy! "Thank you" - Purchaser Review. Sue was extremely professional and attentive during the sale with excellent response times. Thank you Sue for making a stressful process alot less stressful. "Wonderful Experience" - Purchaser Review. Sue has been very kind and helpful throughout the whole process. She's very reliable and always keeps us informed. We had a wonderful experience with Sue and will highly recommend her. "Great Agent" - Vendor Review. Thank you Sue for your wonderful assistance during this stressful time for me. I appreciated your friendship and your total concern about every detail of my sale. Many, many thanks and I will recommend you to my friends and family for anything that may turn up in the future. "Great Agent" - Vendor Review. Sue was easy to talk to and helped me through the whole awful process of selling my home. "Very Helpful and Connected" - Vendor Review. I'm so pleased I was able to work with Sue! She has great enthusiasm and integrity and was able to support me through some challenges, making the process smooth and fairly painless. Her creativity in problem solving, her respect and persistence show her to be a person of fine character and to be trusted with such an important event. Thankyou Sue! 'Great Agent!' - Purchaser Review. We recently purchased a property from Sue and it has been an absolute pleasure to deal with her. Her experience and knowledge of the market was demonstrated from the start and her professionalism made the whole buying process less stressful. She is proactive in her dealings with all parties and made herself always available to answer questions. We would highly recommend Sue for all real estate needs. "Good Agent" - Purchaser Review. Found Sue to be very helpful, quick with communication and following up with enquiries. Honest and easy to deal with. "Great Communicator" - Vendor Review. Sue is personable and communicates well. She interacts with her clients and keeps them informed of the process to be undertaken and the progress that is being made at every stage. Sue is also knowledgeable of the market in the Menai area and keeps the requirements of her clients in mind when recommending properties for sale. She made the purchaser of our new property and the sale of our present home much less stressful then we expected. "Helpful Agent" - Vendor Review. I would like to thank Sue from One Agency for selling my mother's villa, she achieved a great result at the auction and my mother is very happy. On all occasions Sue's friendly and approachable nature made the selling process so much easier. I was impressed with the feedback after each of the open homes as well as the weekly face to face meeting which ensured that I had all the information I needed to pass on to my mother. I would highly recommend Sue when selling your home. "Great Agent" - Purchaser Review. Sue has an excellent knowledge of the market in the Menai area. She kept us in the loop, suggesting properties that we might be interested in over a period of several months until the property we bought came on the market. Sue makes a point of keeping your specific needs and wants in mind so that you are only informed of properties that might suit. She keeps you informed of all aspects of both purchasers and sales and communicates using all media forms.